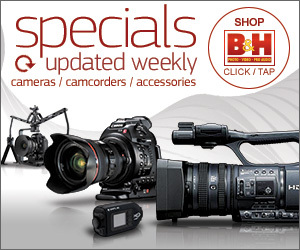 Today, Blackmagic Design announced exciting products they are releasing. 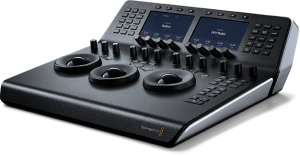 If you’re a fan of using the software or hardware from Blackmagic, then you will be happy to hear that they have a new version of DaVinci Resolve, version 12.5.5 they are releasing today, which will work with their new budget control panels. 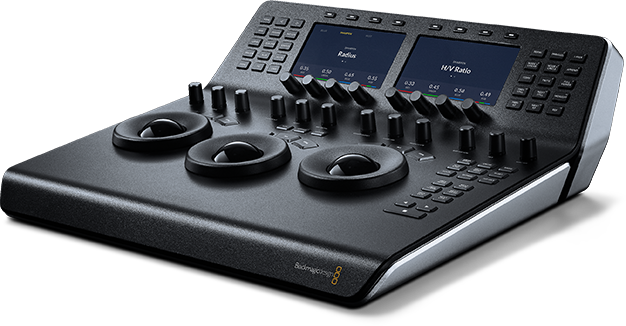 The smaller color grading panel is called the MICRO PANEL. 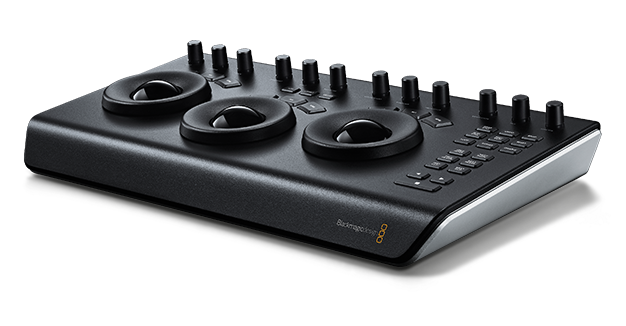 This works great on smaller set-ups like laptops, where you need a dedicated color grading panel along with a keyboard from your computer. This panel sells for just $995 USD. 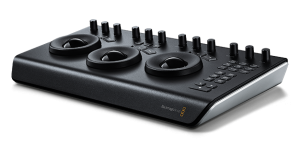 They also released a slightly larger panel (called MINI PANEL) with extra features for color grading and editing. This panel sells for $2995 USD. Another exciting product that they just released is the updated version of their URSA Mini 4.6K camera. 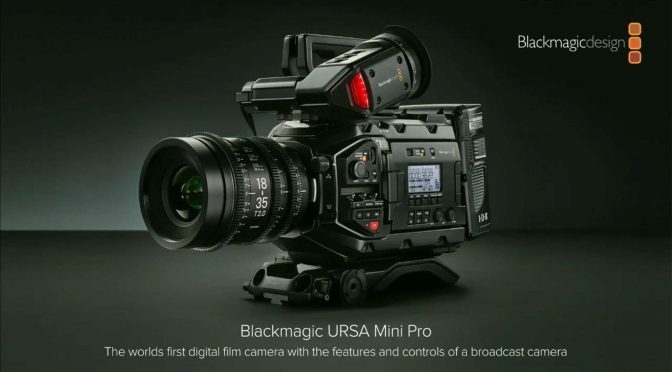 It’s now called URSA Mini Pro and sells for $5,995 USD. It’s essentially the same camera, but with a few key features that people were requesting. Big one for me is that it now comes with built-in ND filters! 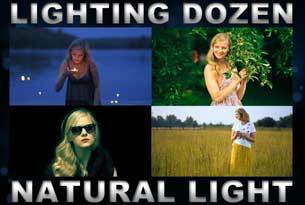 These filters eliminate IR pollution and color shifts and come in 3 settings of 2, 4 and 6 stops. The camera also comes with dedicated buttons for shutter, white balance, ISO etc. 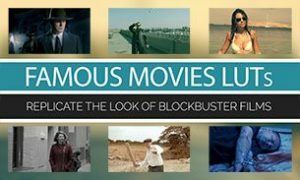 Having these camera controls at your finger tips is a must for anyone who plans to use this camera for television broadcast work. This new camera can also be used in a live studio broadcast setting as it includes a tally light and talk-back features. One of the things many of the users of the original URSA and URSA Mini cameras have been complaining about is the recording media. These cameras record only to Cfast 2.0 cards, which are a great new tech, but come with a steep price. The new camera now works with both C-Fast and SD card media! URSA Mini Pro features both dual C-Fast 2.0 recorders and dual UHS-II SD card recorders so you can choose the media that works best for you. 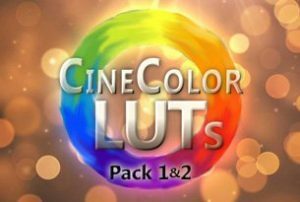 C-Fast cards are ideal for full resolution RAW recording, while SD and UHS-II cards are inexpensive and commonly available, making them perfect for recording ProRes Ultra HD files or RAW HD files. On a side note, Blackmagic Design will also be releasing this summer a new SSD adapter for the URSA Mini cameras, which will attach where the battery plate goes (check out a quick preview of that in the video below). Another exciting feature of this new camera is also the new interchangeable lens mount. This allows anyone to quickly switch between EF, PL and B4 lens mounts (F-Mount for Nikon lenses will be released in the future). You can check out just how easy it is to change the lens mount along with all the other great features in this video. Some of the other updates are for the full size URSA camera, whose original owners have been waiting for a long time. Pretty much ticks all the boxes now. Great to see that they have clearly been doing a great deal of listening to what customers actually want.